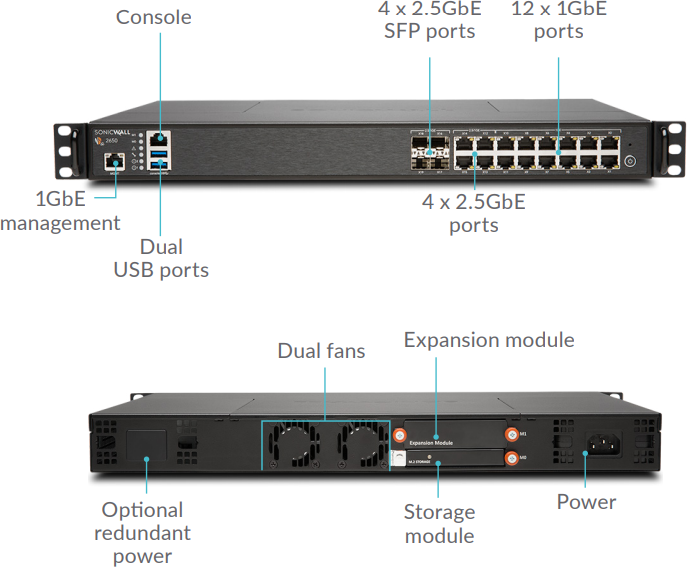 Achieve a deeper level of security with the SonicWALL Network Security Appliance (NSA) Series of next-generation firewalls. 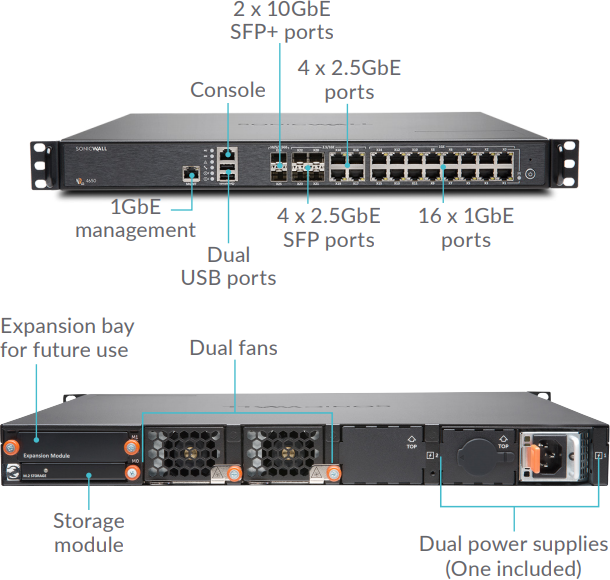 NSA Series appliances integrate automated and dynamic security capabilities into a single platform, combining the patented SonicWALL Reassembly Free Deep Packet Inspection (RFDPI) firewall engine with a powerful, massively scalable, multi-core architecture. Now you can block even the most sophisticated threats with a multi-engine sandbox (Capture ATP), an intrusion prevention system (IPS) featuring advanced anti-evasion capabilities, SSL decryption and inspection, and network-based malware protection that leverages the power of the cloud. 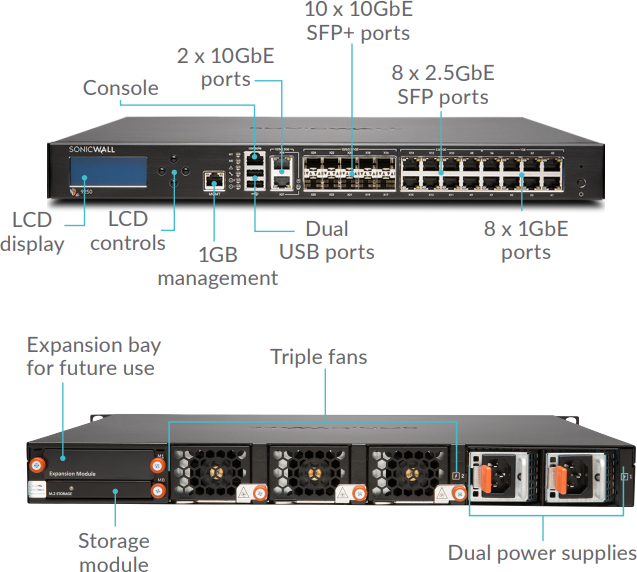 Safeguard your organization around the clock with the sophisticated security capabilities of NSA Series firewalls. The RFDPI engine inspects every byte of every packet and scans all network traffic - regardless of port or protocol. Real-time TLS/SSL decryption and inspection enables you to visualize and control application traffic as it crosses the network, and NSA Series firewalls have access to a continually updated cloud database that has more than 12.6 million variants of malware to protect your organization from the most recent threats. Give your organization the performance it needs to grow. 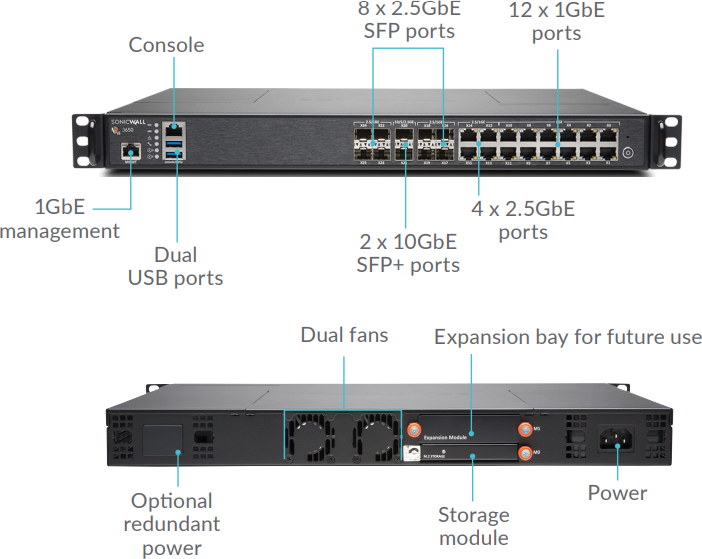 NSA Series firewalls surpass traditional single-core and ASIC processors, delivering a multi-core design that ensures deep-packet inspection while scaling easily for future growth. 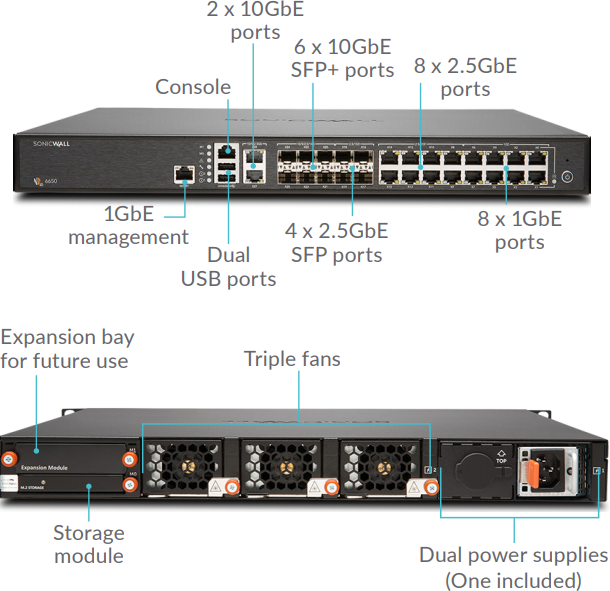 Lower your TCO with easy deployment, configuration and maintenance. 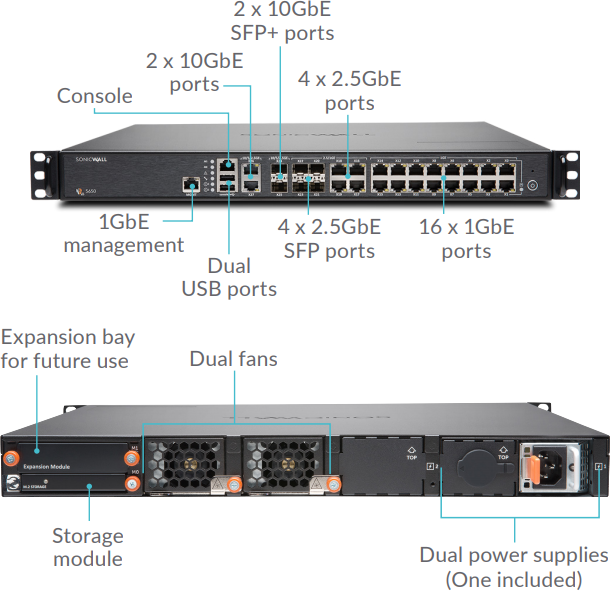 The intuitive design and superior power efficiency of NSA Series firewalls make it easy to achieve deep security.